Rum-Punch Drunk: Halloween - Trick or Treat? It's that time of the year again when I become completely baffled as to why more and more people are partaking in something called Halloween. Nowadays, people are saying that it's harmless fun but from the little I know, how do you reconcile the past with Halloween today? I'm no historian, but can tell you what I know, and I hope you take the time to fill in any gaps or misinformation on my part. I have never celebrated Halloween. Why? Wasn't Halloween supposed to be a New Year Celebration of everything that was bad, wicked and evil? If that's true then why are we celebrating it? How about the massive bonfire? On the most important day in the satanic year pagans, witches, druids etc. would gather around a big 'bone fire' (sic) which consisted of the bones of sacrificed humans and/or animals mixed with timber, and set it alight. This is where we get the name 'bonfire'. Some people even sacrificed themselves! Then when human sacrifices were stopped, effigies were burned instead. That's no joke. Didn't homeowners use to leave food offerings on their door-steps to appease evil spirits? And if the spirits were not happy they would curse the homeowner. Didn't pagans, druids etc go door to door singing and praying for the dead? They would be given small cakes for this, and each eaten cake represented the soul of the dead being freed from purgatory. If you didn't provide them with a cake or not enough of it, weren't you and/or your family cursed? Isn't this too similar to what you do when you go trick or treat? If this is true, then what are you teaching your children? to curse your neighbours? Just a thought. Maybe I'm being a bit heavy here, but, at the very least, even if you as an adult find this OK, do you really believe it is suitable for children? Didn't they wear masks or disguises to hide their identity from the roaming spirits to scare them away and that's why people now wear demonic looking masks on Halloween night? How about the famous pumkin lanterns which represent the souls of the dead? Thanks to a man named Jack who was a damned soul, this lantern was used to frighten away evil spirits, hence the carved out face when lit. The same thing is being done today. Have you ever thought that you could be unknowingly partaking in a ritual with a darker but real side to it? If you have ever experienced the real power behind satanism or witchcraft (for want of a better word, to make my point) and I'm not talking about wishy-washy magicians who do slight of hand tricks, or those that pretend to do 'natural' magic - then you'll know what I mean, otherwise ignore this sentence. You see, I'm just wondering if, by the same token, could it be that many years from now, when enough time has elapsed, we will all be celebrating the holocaust dancing around an oven? It might sound like a wild example, but isn't this what has happened with halloween? Do you believe that these are the real origins of Halloween? Is it really harmless fun, or is there a more sinister side to this? I would love to hear your thoughts, comments and opinions on this. I totally agree. It's a nasty old tradition. On the other hand, most people who do festivals like Halloween, Christmas, Easter etc have no sympathy for the "reason for the season" - it's just an excuse to have a party. Thanks Robert. Over the years I have had to question at a lot of things in my life because I don't just wish to follow things blindly, but rather know the reason why I do or don't do things. Here in the US, Halloween is more or less just another commercial holiday, a chance for merchants to drum up sales. People go all out here with decorations, costumes, parties, etc. I enjoyed trick or treating as a kid, and when my boys were young, they'd tell me what they wanted to be for Halloween, and I would sew their costumes myself. I've never been religious, so the meaning behind Halloween wasn't important. There are nice traditions associated with all the holidays that can be enjoyed without giving them too much thought. Thanks Helena. Yes, I would say more and more people are having views similar to yourself. They enjoy the fun of an event and don't always give the rest of it much thought. Halloween is something that I've struggled with because when people knock my door for trick or treat they don't find it very funny when I explain to the parents my reason for not participating in Halloween (but after all, they did knock my door). Thanks for your comments Jade, and the info you provided. I certainly don't find your views offensive in any way. I see what you mean about the christian and pagan dates though. It seems to be a mish-mash of both religions. That's why I think it is important for people to know what they are celebrating and why, instead of just following the crowd. I'm still researching many things. Well, as a giant fan of Halloween, I look forward to this time of year. Its an excuse to explore the other side of me. As well, christmas and thanksgiving give me the opportunity to use my smoker and prepare food for family and friends in mass quanities. In the end, ererything evolves, people, places, traditions, and even Halloween. Great post. I suppose your response could be boiled down to the statement 'any excuse for a party'! Thanks again for your views and a pleasure to see you here. Not for me. Neither is the other pagan dates throughout the year. Thanks Anonymous. It would have been great if you could expand why though. Is it just because they are pagan? Halloween became even very popular here in Germany. However, I bet around 95% of all people celebrating it have no idea about its origins. I remember how we celebrated it as kids. We didn't know why we were doing this, it was just the day we were allowed to dress up and ask for sweets which is just fun for every kid. When we asked someone for the reason, the answer was usually: "It's an American tradition". This seems to be everything people know. I think this is what it is for most people celebrating it: Just a harmless day where they can go around, ask for sweets and of course dress up. And, of course, it is a huge chance for bigger sales, I guess this is why it became popular here. But I totally agree with you that people should know what they are actually celebrating. This is really important. However, I can't imagine we will ever be celebrating the holocaust. The reason people don't know about the origins of Halloween is that they never learn about it. But there's no way you don't learn about the holocaust, at least where I live. So I think for most people there isn't a sinister side to it. Totally agree with what you said Kleopatra. I used to think that everyone knew about the holocaust, but there are people who simply refuse to believe it even happened! Ie. David Irving who was prosecuted in Austria for holocaust denial. In the end, you can make something good out of something bad. People have for ages. Here in the States we have celebrations to remember all those that died in wars, and such. And I find it better to remember Halloween for what it is, a pagan ritual to keep the dead at bay, than to completely forget its origins like Saint Patrick's Day where hundreds, if not thousands, of people were persecuted for their beliefs, and now people dress in green and get drunk for no apparent reason. You do have a point Dan. Halloween should be about what it was originally intended for. By doing that, it makes it very clear what you are celebrating, and why. People can then make a conscious decision to follow or not, armed with the knowledge. @Dan Bonser. Not sure how to link it exactly as not tech savvy, but I've put page details here. I can't believe it. I've just worked out how to do a link today, better late than never so here it is. Being frightened can be fun because I'm sure I will be safe. Then after the terror I take a deep breath and enjoy a sense of relief. I'm not going to be killed or captured by some evil being. You did put a nice smile on my face when I read your comment. Talking about hurting people, I remember years ago the incidences reported about children being offered sweets etc which had either some poisonous substance or non-food items to hurt them, whilst out trick or treating. It scared a lot of people at the time. But no idea how true these particular incidences were. Thanks John M.
Samhain traditions were vilified by the Christian churches. First off as Satan is part of Christian mythology, not Celtic Mythology, where Halloween gets it's roots.So it has no ties to Satan. The bonfires were to honor the Celtic gods. Part of that bonfire was carried home in gourds and used to light each home's hearth, for blessing in the home. And yes, they would throw bones of slaughtered cattle into the fire as burnt offerings. The word bonfire derived from "bone fire". Traditions about the dead on Halloween beals with the belief that as the curtain from one year to another grows thin, so does the curtain between the living and dead world. It was a time to commune with those who passed in the last year, and yes, a time to fear those spirits who were not friendly. But mostly a time as a community to honour those lost. A time when the richer people would feed the poor (yes, trick or treat). It is a very sacred time in the pagan community still. Ah, thanks for you views on this Jamie. I think the vast majority of christians do believe Satan is real, although there are a handful who now think it is a myth. Also, regarding Halloween, I do know that there are many pagans etc who celebrate it for meanings such as yours but there are also satanists and witches who have a darker interpretation of it and it is this which is of concern to me. Your views are always appreciated and CONGRATULATIONS on your Liebster award. The first time I heard about Hallow-e'en Eve, the candies basket was far away from my reach, unless I accepted to use the disguise of a giant and tried to speak like Captain Flint, the parrot of Long John Silver from "The Treasure Island". In all my childhood in Gozo, nobody celebrated it and it was not even named. Then already in America I learned about the Celebration, and the economical reasons behind it. In that time it was when I knew there was a relation between the pagan Celtic's rites and this feast, the difference was that while Celts came near the Dead in those days, and some people even sustain they offered sacrifices burning a big wicker man divided in several cages where animals and occasionally a human being was presented to the gods, we dedicated our time to disguise and ask for candies. Well, that can be considered as a social improvement! Already in Europe, I heard about Walpurgisnacht or Walpurgis Night, in memory of Saint Walpurgis a nun that fought against the witches and protected the villains against the evil eye and others mischiefs of people from the other side; this nun received the doubtful honour of remember the night from March 31st to April 1st. by her name. I guess this crossed the sea as April Fool but cannot be sure. some animals, and the incredible potential that a vial of potion could release, into the stomach or heart of determined beings. Anyway, most of us do not understand the real origin of these celebration and accept thankfully a free day to rest from the evils of the Universe, now represented by different tokens. And knowing that to burn a wicker man full of living things, in the central square of town may be considered a case of tastelessness. I see what you mean about the social improvement. Sweets rather than sacrifice. He he. Thanks for the info and comments Untony, I'm still looking into all of this. Thank you for sharing your views!! I love Halloween, I like the dark side associated with it!! My kids are into trick- and- treating big time! !There is a certain romanticism associated with Halloween, which I find attractive! Tazein Mirza Saad, thanks for your comment. For curiosity and clarification, are you saying you find the dark side as stated in my post romantic? Or do you mean something else? That being said. the act of guising was an Irish tradition begun by beggars asking for food in return for prayers for dead loved ones. That seems hardly sinister in any way, considering the early Christians continued it through the medieval era. Thirdly, the Druid bonfires, or "bone fires" as you so graciously call them, burned the bones of livestock they had already prepared and stored to get through the winter months as a ritual to end the harvest festival. As someone pointed out above, Satan is a construct of the relatively new Christian religion (relative to pagan religions-excluding Wicca), and therefore assuming that dead souls must automatically equate to Satan and other demonic forces is rather obtuse and narrow-minded. Halloween, if anything, has been as defiled as Christmas or Easter have been by modern society. They were all pagan holidays, that is, the celebrations and rituals of those beliefs that came long before what is now commercial Christianity. By your logic, so-called Christian holidays, save Catholic celebrations such as Ash Wednesday and Palm Sunday should not exist, Christmas included. You are free to not celebrate Halloween, as corrupt as it may have become, and to avoid hypocrisy, you may also want to toss Easter and Christmas out the window as well. Or perhaps you might want to "purify" it, as some in Christianity have felt and still feel obligated to do with anything they do not necessarily believe in or agree with. You may not, however, demonize cultures and peoples you obviously know little about, and have not bothered to learn about. Not to be rude, but it is rather offensive to me, as a Christian, that some of us, regardless of religion, feel the need to adopt a holier-than-thou attitude towards others. Also, kids don't learn about the origins of Halloween. Therefore, it's pretty damn harmless. First off, a quick question. Have you actually read RPD's post? Because it seems to me that you just saw the title and launched off from that. For example - Where did RPD saying anything about celebrating Christmas or Easter? I don't think anyone who had troubled themselves to read this short post would have made such a blunder. You also seem not to have noticed that the article was framed as a series of questions and was tentative in tone by someone who wasn't claiming to be a historian. So I find your strident dogmatism and accusations of obtuse narrow mindendness kind of rebound back onto you. Lastly, you claim to be a Christian but don't seem to be informed on the roots of your own religion. If satan is a contruct of Christianity how do you account of the appearance of 'HaSatan' in Job, one of the oldest books of the Hebrew bible? In this text alone he dialogues with Yahweh, and his function in the narrative is that of antagonist, destroyer and accuser, his classic role, in complete congruence with later Christian depticions. Aside from this intervention I have to say I have found the comments of the other interlocutors interesting. It is the first place I have heard the commercialisation of Halloween bemoaned! Obviously there are two opposing historical accounts of the origins of Halloween traditions. I wonder which has the most documentation to substantiate its claims? Or perhaps this is lost in the mists of time, as has been the destiny of many histories committed to oral tradition for their transmission. Thank you RPD for provoking a stimulating, and, for the most part, respectful discussion. Yes, I realize your point, and I am aware this is an overreaction, and I apologize for any offense, and I did not mean to be harsh. I did, in fact, read the article. The modern conception of Satan, is, in fact, a Christian construct. The presence of HaSatan (the satan) in Judaism was seen as simply 1) a sinful person, or 2) an adversary to anyone, and was circumstantial. It was basically another word for adversary, human or otherwise. "The" Satan is the supreme adversary of God, but it originally did not come with the connotation of an end-all-be-all evil force. There is no proof that in the Hebrew text, the ha-satan that asks God to tempt Job is in fact who Christians view as "The" Satan. Hebrew text says that this ha-satan was on the Divine Council. The Bible says that Satan went to visit God. There are a lot of bad translations and therefore, misconceptions about "what happened" in the Christian religion, as drawn from the Jews. In addition, I was using Christianity and Easter as examples of the holidays that meant something to the pagan religions just as Halloween did, but that Christianity likes to claim as its own. I have no evidence that RPD is affiliated with any religion, and I am not trying to slander Christianity, as I am Christian. I completely respect the questions presented, and I apologize again for any offense. Khadijat. Thanks for the wikipedia information explaining what a pagan is. I don't have any 'bones' with that :) But I was more interested in why people celebrated Halloween, if it has such a background as I thought it did. I must take time to add that it does not make one obtuse and narrow-minded when asking, researching and questioning what may be right and what may be wrong. It rather makes you open-minded to finding what you can call truth. It was my christian background of abuse that has led me to ask many questions today, especially in regards to religions of any kind. I do like healthy debates, and allowing people to express themselves as you can learn a lot or even change your point of view after considering things. I also know there will be times we all agree to disagree without personal attacks. In the second paragraph of my post, I clearly pointed out that I'm no historian, and asked people to fill any gaps or misinformation on my part, so I wouldn't go as far as to say I was demonising cultures and peoples, or that I adopted a 'holier than thou' attitude. I really don't have the balls to play God. I would also like to say thank you very much for the rest of the information you provided with your comments. Thanks for the comments. Much appreciated and good to see you back. Of course, Khadijat. That's absolutely fine. Since you're clearly not trying to give offence, then I'm certainly not going to take it. This allows us both to move our discussion forward. I agree with you about Easter and Christmas. In fact, the medieval historian Venerable Bede records that here in the British isles a significant dispute took place when Rome imposed the commemoration of Christ's passion at Easter. Up to then the custom had been, more coherently, to do so according to the Jewish passover on the 14th of the month of Nisan. I'm sensitive to your caution around disrespecting other people's faiths. But at the same time Christianity is Christianity, and as such, incompatible with certain aspects of Paganism. I would contend that clarifying these areas of distinction is helpful in trying to live the faith 'by the book', or 'in the spirit' if you prefer. Though I'm reluctant to take RPD's discussion off topic, I really want to take you up on this Satan issue. I agree with you that there is a lot of 'translation' theology in popular Christianity, which I think can only be effectively addressed by a study of the original languages and historical development of the various faiths which have come to bear its name. But please help me to understand what you are saying. Is it that the nature of "The" Satan is a progressive revelation that does not fully unfold until the advent of Jesus? A being who, as you said, has access to the divine council but who also, in the words of Jesus, 'fell from heaven'? You raise a critically important issue. Halloween is NOT harmless. It's origins are Druidic-Occultic, and it takes that spiritual dimension even for those who would ignorantly observe its rites just for the sake of a party. There is no good reason to celebrate Halloween. Have in mind that on the day, actual human sacrifices are perpetrated by Satanists. Behind the exoteric obfuscations, Halloween means SOMETHING to SOMEONE. Thank you so much for your comment Untonyto. It seems like you and Nothingprofound are at opposite ends of the spectrum on this one. See comment below. If the kids enjoy Halloween, that's good enough for me. Its religious and/or historical connotations I consider nothing but irrelevant and meaningless superstitions. Thank you so much Nothingprofound. It seems like you and Untonyto are at opposite ends of the spectrum on this one. See comment above. Everything you say is true, but there are candies. How can anyone be opposed to a holiday where you get candies? Although, you make a good point. I'm not going to be participating in any holiday that celebrates the holocaust even if it does involve candies. However, if they are really, really good candies and the day condemns the holocaust or commemorates the victims, I'm in big time. Valid argument and great subject! Although I do agree with you about thinking and knowing the history of a holiday before mindless celebrating, I don't think Halloween is more or less harmful than Christmas, Thanksgiving, and/or Valentine's Day . I know Christmas, of course, is first and foremost the birth of Jesus Christ but the Santa Claus portion and the capitalist mentality that goes along with it - the buying of presents, the expensive gifts that parents feel compelled to buy for his/her children, or the feeling of not getting any presents - especially for less fortunate children is extremely detrimental. Every year, I worry about how much money I don't have and when I was a kid, I remember feeling sad when we didn't have much money to buy gifts. Don't even let me start on the Thanksgiving holiday and the plight of Native Americans...that's a novel. Last, of course, is Valentine's Day which is my day of birth and the deaths of Saints is by no means romantic, Lol! Yes, I know exactly what you mean. Christmas puts a lot of pressure on many people, and it's a time when many are suicidal, severely depressed, lonely and build up massive debts. Thanks for your comment Shaharoh. You have a good point Melody. People spend so much money celebrating these holidays without considering their own financial situation, until it's too late of course, then they cry poverty. I don't understand it. Thanks Melody. Interesting post, as always. I also read through the comments and found them very enlightening. When I was young, I celebrated Halloween with the main goal of getting lots of candy. Sometimes, I wore a mask but nothing more. I had absolutely no idea of the origin just as I am sure many people today just see it as a day of the year to have fun and act silly in a harmless way. I stopped celebrating Halloween, however, when I became a Christian and learned of the pagan roots and some of the superstitions that have been added to the legends of Halloween. Personally, I can't reconcile celebrating such a tradition with my desire to live out my Christian faith. It seems to me that people tend to look for any occasion to party and to have a good time. To them, it's no more than that until some personal conviction changes their pespective. I believe that's true about Christmas, Easter, Halloween, and another other holiday that has some spiritual roots--good or bad. Meanwhile, the merchants are laughing all the way to the bank. Thank you so much for commenting Frank. Yes, the merchants are the biggest winners every time for every holiday getting millions in profits every year, and you do have a point about personal conviction. We actually don't celebrate Halloween. (Though I'm not sure of other Filipinos) but normally we spend some time with our relatives and pray for our departed loved ones. That is normally during the first or second of November. I haven't experienced any trick or treat parties or rituals. Oh, that's real different from what I'm use to hearing - just praying for the departed and nothing else. Thanks Life N Canvas. We don't celebrate Halloween in India. I have heard of people celebrating halloween in US, Canada etc. and wondered the origin of it. 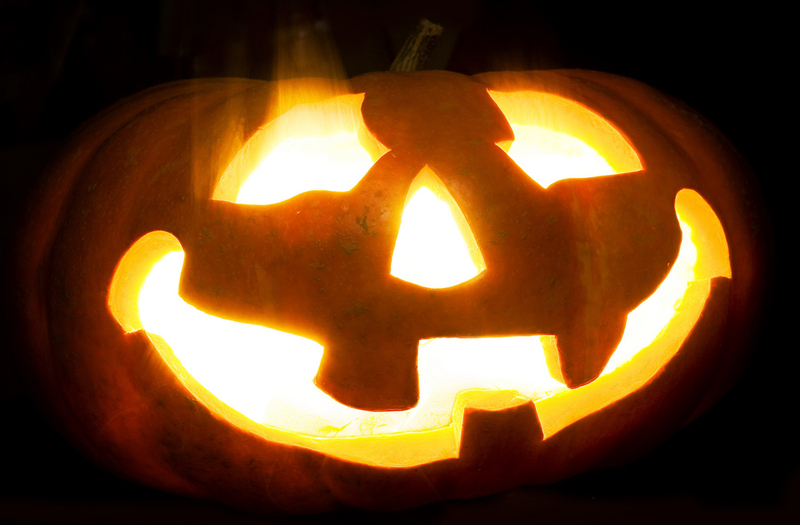 This blog post throws some light on the origin of Halloween. I would never celebrate Halloween if it is in anyway related to devil. I appreciate your comment Dhaston. I wish to celebrate the event of dressing up in scary and goofy costumes and handing out safe treats to all excited visitors to me house, young and old, for one night out of 365 days. I choose to escape my busy and demanding work schedule, throw my stern fatherhood/parenting aside for one evening and just have some harmless fun. I am not out sacrificing animals or humans. I am not out vandalizing property. Etc. I am sure that all you have written here is indeed somehow associated with Halloween but I do not partake in any of these things. I guess, I see this night a little different. I choose to celebrate the lighter side of the eventful night as I try and put a more positive spin on Halloween. Halloween is a scary way to make fun. Today kids have the option to wear funny costumes from their kids movies. Kids wear Batman`s costume and many other different comics` heroes. Kids love to wear different costume and run from door to door and collect candies and there is nothing wrong with that in my opinion... I guess, because I am a responsible citizen and I would never harm another with razor blades in apples... bad candy... I always take my kids out and check their candy before they chow down. In this day and age Halloween is about community, sharing and being neighbourly. I have met families I might not of in my community by opening up my door and sharing a treat on Halloween. What other time of year do we share with strangers right on our own doorstep? If anything Halloween is a time of fellowship with our neighbours. Halloween is also a time that children get to be whoever they want to be, with joy, fun and silliness. And it’s a time for parents to escape from the constraints of a stressful world and be like children again themselves. Its not about standing in a fight against good and evil, its about generosity, kindness and giving. OMG! You're going to band me from leaving comments aren't you? Bwahahaha! Thanks Daily Dose of Musings. I can see from your comment that you really do have a hell of a time celebrating Halloween, and you don't worry about the origins because of what it has become today. I'm glad that you also check the candy, better safe than sorry I say. Are the origins of anything we celebrate important? Just because mankind moves on does God move on too? Does God really care? These are just some questions that I ask myself from time to time. I'm not knocking your point at all. Of course I'm not going to ban you from leaving comments. :) It's nice to get different opinions, points of views etc, that's what blogging is all about. Its all Nightmare before Christmas. If only it was as innocent as Tim Burtons vision.